In a press conference after Walt Weiss stepped down as manager, general manager Jeff Bridich kept stressing that both internal and external candidates would be considered for the vacancy. Glenallen Hill, the Rockies Triple A affiliate manager, was brought up as a candidate as Bridich acknowledged that it was no secret that the Rockies have hired internally. But if Bridich is to put his own stamp on this club, he must look elsewhere to signify that this club is moving forward and finding new ways to win. 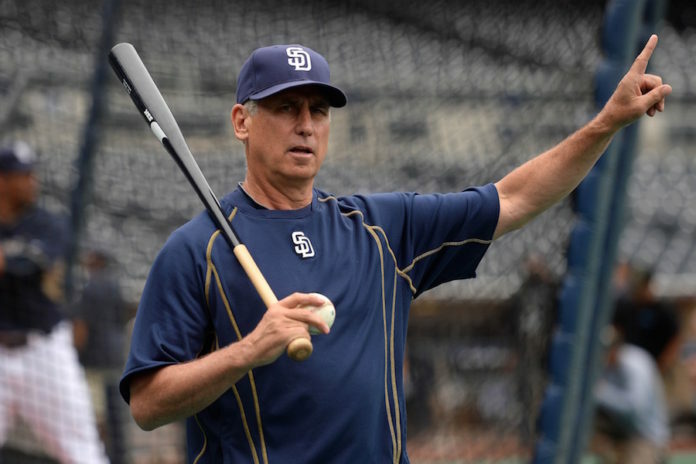 This would be California dreaming, as the former pitcher, Angels pitching coach and Padres manager is now being considered for the vacancy in Atlanta. Black won the NL Coach of the Year in 2010, but never won the division or made it to the playoffs. So why is this an ideal hire? The promise of this young pitching staff needs to be fostered by someone with foundational pitching experience. It would be like having two pitching coaches for a bullpen that desperately needs help and rebuilding. Besides, Black never had the type of offense in San Diego that he would inherit with the Rockies. This hire would be a safe pick but the biggest obstacle would be if Denver was an attractive option for Black. The Braves could compete before the Rockies, and it is certainly much easier to pitch in Atlanta. If hired, the feeling would be: Being a 90s kid and getting a Gameboy and showing off your new shiny addition to all of your friends making them jealous. Gabe “The Body” Kapler not only looks like he can still play professional baseball, but he has the credentials that would lead us to believe he can help these young Rockies mature. Kapler coached the Israeli national baseball team towards qualification for 2013 World Baseball Classic. The next year he was hired by the Dodgers as the Director of Player Development. He was a favorite to replace Don Mattingly in Los Angeles but eventually lost out to David Roberts. 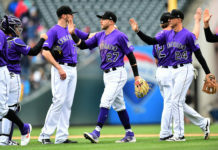 Developing a team that has won the last four division championships is qualification enough to develop the Rockies abundance of young players. Kapler is a former Rockie playing in Denver from 2002-2003. Bridich may want to stay away from anything that defined the last regime. He is ready to make his own legacy with his managerial hire. If hired, the feeling would be: Your parents making you eat really healthy but it develops you much better for the longterm. Martinez’s name has been projected as an early candidate for the job, and it would be a phenomenal outside hire, primarily because of the coach he has followed his entire career. Martinez was the bench coach for Joe Maddon when he was with the Tampa Bay Rays and followed Maddon when he went to Chicago. Martinez has been part of a staff that has fostered one of the most fun clubhouse’s in baseball in the Chicago Cubs. Martinez knows about what it takes to have a winning culture, and he can build on what Weiss did for the Rockies clubhouse. If hired, the feeling would be: Going to a party after a hard, long days work. 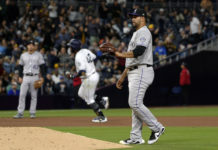 If the Rockies hire Glenallen Hill, they are sending the message that they are going to try the same formula and hope for a different outcome. That doesn’t mean Hill doesn’t deserve the job or paid his dues. Quite the opposite. 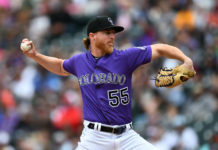 The argument for Hill is best supported that he helped personally develop most of the Colorado Rockies roster. But hiring Hill would be forfeiting an outside perspective that could change the mentality of this group and push them to the next level. Hill deserves to be a big league manager, but Bridich would not be making his own statement if he hired Hill as the Rockies manager. If hired, the feeling would be: The definition of insanity, doing the same thing and expecting a different result. Cora mainly managed when Ozzie Guillen was let go by a club, whether it be the White Sox or Marlins. McClendon may be too closely removed from the Mariners position, where he performed well in his first year but didn’t make enough of a splash in the second. Gardenhire is one of the best coaches in Twins history, but his last four years in Minneapolis were some of the worst the club had ever seen. He works in the Minnesota front office and might not be willing to move. Would feel like: Car insurance. Better when you have it. Not necessarily the first thing you want to spend your money on.